Description :Title : Biamp Audia Solo Networked Digital Audio Platform 12x4Model : Solo 12x4Brand : .. Description : Biamp AudiaFlex TI-2 DSP w/CobraNet Conditions : .. Description : Biamp MCA 8050 8 Channel Power Amplifier 50 WPC @4 Ohms, 100 W.. Conditions: - Used - Front transparent plastic cover missing- Certified pre-owned equipment- Tested .. Description :Title : Blackweb 1500-Watt Light-up Party Speaker BWA17AA007 Bluetooth LED MicModel : B.. Description :Title : Bogen GS-100 Gold Seal Series System AmplifierModel : GS-100Brand : BogenColor .. Description :Title : Bogen GS-150 Gold Seal Series System AmplifierModel : GS-150Brand : BogenColor .. 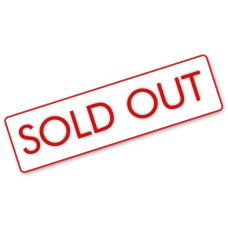 Conditions :- Used-Certified Pre-Owned Equipment-Tested by a qualified technician- Ready to be put t.. 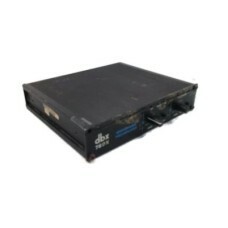 Description :Title : DBX 1024 Buffer Amplifier Working Unit Model : 1024 Brand : DBXColor : N/ADimen.. Description :Title : DBX 760X, 2 Channel Microphone PreamplifierModel : 760XBrand : DBXDimension : 9.. Description :Title : DBX, 2 Channel Microphone Preamplifier Model 760XModel : 760XBrand : DBXColor ..